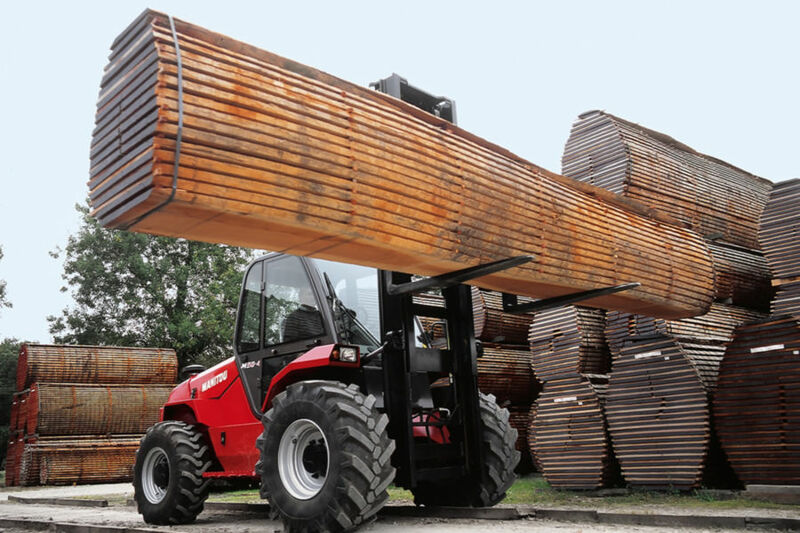 The M 50-4 forklift truck is designed for activities which need to be performed on rough terrain or where obstacles are present. With 4-wheel drive, 36 cm ground clearance and a turning radius of 3.4 m, this machine offers excellent maneuverability regardless of the circumstances. And for even better adaptation to the various types terrain faced, a wide range of tires are available for optimal performance. The driver's cab is accessible from both sides and offers a spacious working area with ergonomic controls. And with full 360° surround view, ground team safety is enhanced as well.